To this day, I have lost just about 10kg since I started my “weightloss journey” three months ago and I have to say that I’ve come to the conclusion that losing weight isn’t just about losing weight. It’s a life lesson – something that feels like climbing Mt. Everest at times and other times, you don’t really think about it. As with any emotional and physical journey, one thing is for sure, you can always come out of it learning something. Weight loss is no exception. Today I wanted to talk about my journey – what I’ve learnt and what I’ve come to understand. But first, let’s start from the beginning. I was never one of those girls who was ever really skinny – or thin. If I ever was at one point, I was trying really hard to be that way – not eating carbs, dieting, watching my calories. “Naturally skinny” was never in my books. I was born with a huge bone structure and the ability to build muscles that any strongman would be jealous of. You can imagine how I feel in Singapore when every newspaper ad is another weight loss solution or every girl you see on the street seems like they can never gain a pound. Being in this industry where it’s the norm to #OOTD everywhere you go for as many likes as possible, it was tough. My weight has always been a battle, really. A battle sometimes I didn’t think that I should need to fight – however even if you feel like there’s nothing wrong with your weight, everyone else may seem like they’re on another page. I’ve done everything – anorexia, bulemia, being vegan, being vegetarian, going all protein…negative calorie, anyone? I’ve been there. I’ve been there when my hair was dropping out, and I was turning yellow. I’ve been there when I felt like fainting in the middle of class and everyone would gawk at my skeletal structure. I’ve been there. So why am I suddenly 10kg lighter? I can’t reveal the “impetus” now, but I can say that despite the “impetus” – all of it was of my effort, discipline, and hard work. The “impetus” would mean nothing without action. The “impetus” caused me to do it not because I desired to be an #OOTD model, but purely for a non-image reason. Saying that, we seem like we are all waiting for our “impetus” aren’t we? I remember telling myself that one day, something is just going to happen and I’m going to lose all the weight and I never have to worry about it ever again. Just like all my friends who one day just lost all the weight and never gained it back again. I was waiting for that day. I realise that I had a lot of those days, but those days became missed opportunities when I decided not to take action. You see, you can wait all you want but if you don’t move, you won’t go anywhere. I first want to address though how people view larger people in general. My largest was 80kg. I was pretty big and I remember the day I started this at the place of the impetus and they would ask me what I was eating also what I was going to eat. I answered the truth – I was going to eat fried chicken for dinner. They looked at me and they gawked and I remember this expression of pure disgust across this person’s face who looked like a health person and I felt so damaged from that. I shouldn’t feel damaged though. Perhaps I should feel like I need to be healthier but I should not feel disgusted with myself because of someone’s opinion of me. There is NOTHING wrong with looking fat. I’ve met a whole lot of a**ho*es in this industry talking about larger people like they have some sort of discipline issue, like they’re lazy and irresponsible and that they can’t take care of themselves. Truth is, for me it was more than you thought it was. You might try to simplify it and categorise into your small box of “fat people” and truth is, it’s more than just your small little box. I was big because I was going through a lot – my background in my videos kept changing because I had to keep moving house, I was on my own for the first time – earning my own to feed myself and pay rent and that was just the start. Perhaps I can say that my weight gain was a reflection of how messed up my life was. Perhaps it was the last thing on my mind when it came to solving all my other problems. Perhaps it was the only consistently good and readily available thing I could lean on. Perhaps. But one thing is for sure, it wasn’t that I was lazy or irresponsible. It wasn’t that I was disgusting or uneducated or stupid in any way. I’m sure it wasn’t. So what happened? What did you do to lose all that weight? To this day, while I’m losing weight, I’m still trying to figure why I’m doing this. I’m not doing this to superficially look better or feel healthier. But I think most of all, it’s right now to fulfil God’s plan for me. I did pray. I want to be the weight God wants me to be right now. I told myself the entire time that it doesn’t matter how much weight I lose, I know I’m going to be the exact weight God wants me to be at the end of this – no matter how much bigger I am to the blogger next to me. I’m going to be the exact weight. I prayed that God, if you don’t think I’m the right weight, then help me. And he sent me the “impetus” and now I’m 10kg lighter. Oh gosh, unfortunately those 10kg had to be manually taken off although God has done miracles before, I think he wanted me to learn. So I took it as an opportunity to inspire you and also to go through something painful so that this inspiration is real. I think that losing weight can’t just be learnt in a book you bought for twenty dollars or a one off slimming treatment. No matter what you buy into, it’s you and your body that needs to fight the battle. Saying that, it isn’t entirely physical either, it’s a game of the mind. It’s how you see food. I used to think it’s because that person was born with a higher metabolism than the other person so therefore, they’re born skinny. I don’t think that’s true anymore. I’ve kind of divided “people” into two categories – people who “love food” and people who “like food”. There’s a huge difference. People who love food – think about food all the time, they think about what to eat for lunch, dinner, probably 2 days in advance. They throughly enjoy eating more than they can and they don’t even mind eating food that tastes bad. The joy of eating is just amazing. People who like food – like food for sure but won’t eat more than they can after being full, and some even see food as a necessity so they only think about it when it’s time to eat. I love food. Purely. So it’s hard for me because I’m thinking about it all the time and even if it tastes bad, I trick myself. Have you ever eaten something that looks so yummy but tastes horrible. After you take the first bite, you’re like this is the blandest thing ever and then you look at it and say “it can’t be though, it looks so good, let me try again” and you take another bite. Soon enough, the whole thing is gone. Yup, that’s me. So it can’t be that people were born that way, it’s a mental thing. It’s how you see food. The 10kg fell off when I stopped eating carbs. I thought it was going to be the hardest thing ever but it was sugar that caught me off guard. I craved sweets so badly and dessert. Just to be able to eat tiramisu again could only be done when I was sleeping. I realise that a lot of my weight was caused by having lots of sugar in my diet, not really carbohydrates. I cut out both. In the meantime, I also went to a crossfit gym called Genesis Gym (because I know you’re going to ask anyway) and they helped to train me with a very tough programme during the three months. I think I cried twice, I could have drowned in my own sweat and I had days when I just didn’t want to go. But I kept reminding myself God’s plan for me and I pushed, pushed, pushed and pushed. But saying that, it wasn’t all difficult. Difficult is always at the start of everything – to make sure you’re prepared and to make you stronger and also test how much you want something. So yes it was very hard at the start but then you discover things about yourself that you didn’t know you were capable of. You observe that you don’t need so much food to make you full anymore. A large bowl of chicken soup is sufficient for dinner and you won’t feel hungry after. You don’t need that extra bite, you don’t need that piece of cake. Things become natural and your body starts to impress you. Things you thought you needed, maybe you didn’t need after all. 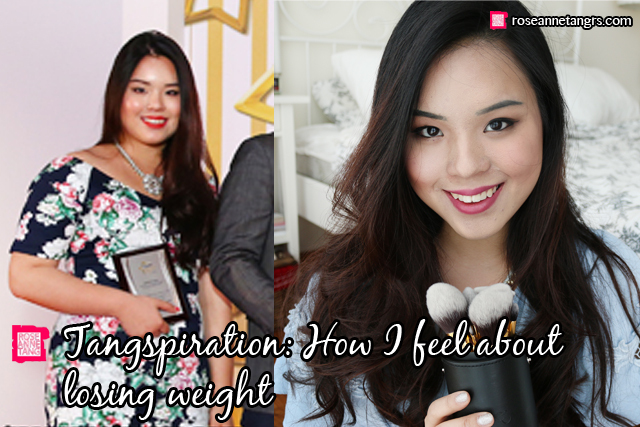 Because of the impetus, I had a natural explanation to why I was losing weight to everyone. It made things so much easier. I feel like everyone has an opinion about something and sometimes the opinion makes you feel better but sometimes it makes you feel worse. Prepping your friends to basically “not bug you about food” this entire time is so important. Good friends will support you – they will try to find places to accommodate your new dietary habits, they will not see your efforts as useless or whiny in way, they will try and help you. Other friends may not understand why, they may not understand that just as they are going through a battle, you are too and will just tell you to stuff up and eat the dessert that they’ve put in front of you. We all have different friends. But what remains consistent should be your willpower. I may not be as thin as a supermodel now. I might not be the biggest success story you’ve heard about. I might not have dropped three times my body weight. But does that really matter? Does putting my weight into a box really matter that much to you? What matters to me is that I’m the weight God wants me to be so that I can do His work. That’s it. Maybe live a few more years than I would have, maybe breathe a little better. I guess our weight isn’t the only important thing in our lives. Who we are, and who we’ve grown to be because of our experiences (even a weight loss related one) is more important – no matter how fat, thin, or in between you look. Am I any more talented? Any more successful? Not really. I’m still me. But I can say that I am stronger, healthier and wiser. Trying Out IPL Hair Removal @ Ginza Calla Singapore! Thanks for sharing so deeply, Roseanne. Personally, I don’t struggle with weight problems but I have friends who do, and this article helps me to learn how to support them better. Weight = the measure of the pull of gravitational force on an object. Do not look at WEIGHT but how you FEEL instead. loving yourself comes first. the outlook will follow later. 🙂 all the best roseanne in your journey! you’re beautiful no matter your size. but yes, do remember to treat your body the way it deserves to be treated.